European Sustainable Energy Week is the annual flagship event for all things energy efficiency and renewables-related at the European level. During the week many policy professionals gather in Brussels, across member states and online to discuss a wide range of topics. For the first time this year, the concept of the circular economy was prominently integrated into the week’s themes. 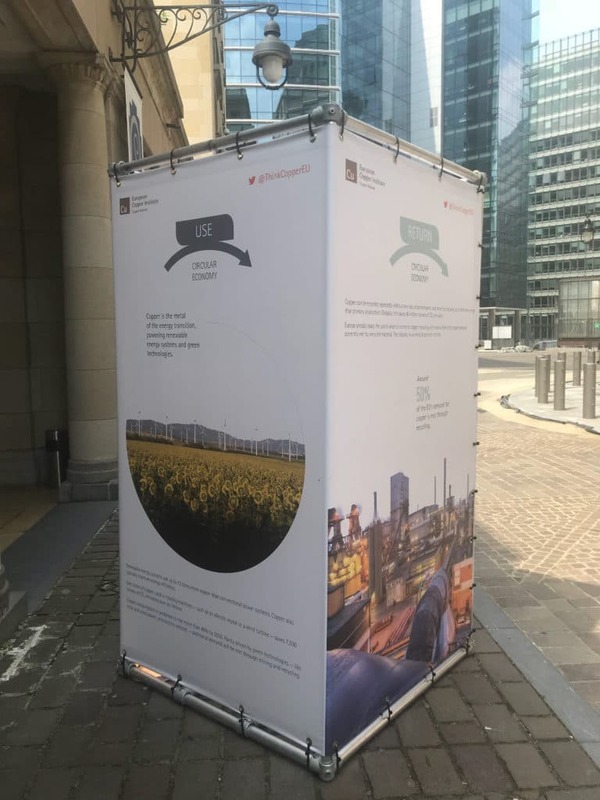 In support of an event run by the European Copper Institute’s (ECI) energy program under the “DecarbEurope” banner, ECI developed a large “cube” that was located outside one of the week’s core venues. The cube highlighted copper’s ability to power the sustainable future through its key contributions to energy efficiency, renewables and electric vehicles, as well as the fact that copper is a highly sustainable material with an infinite life that can be recycled over and over without a loss of properties. 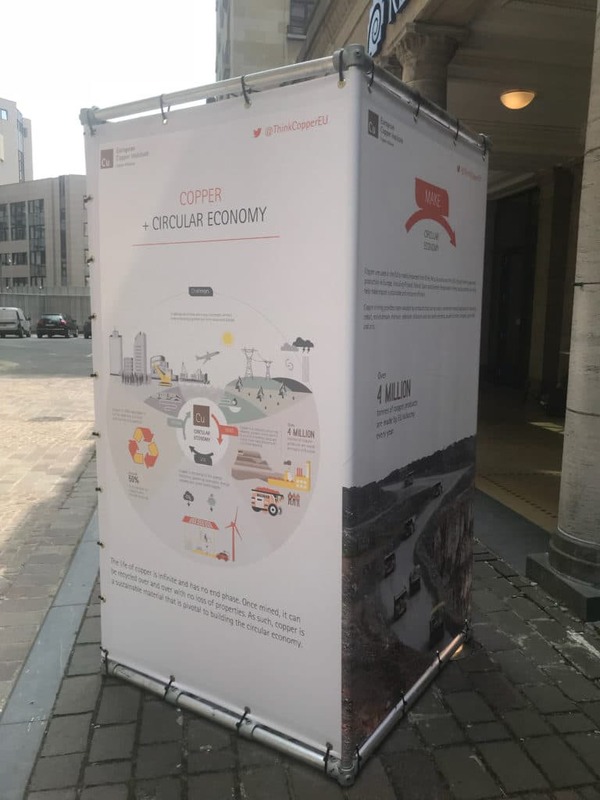 As the EU gears up to finalize the legislative process for all elements of its Clean Energy for All Package and to deliver on the remaining parts of the Circular Economy Package, highlighting the positive, circular properties of copper is key. The “cube” is now in a prominent Brussels park for the summer. After which-in the spirit of circularity-it will be repurposed into sturdy shopping bags.